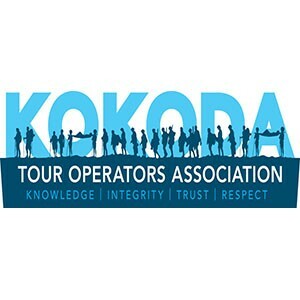 Training for Kokoda in the Blue Mountains is a must do for people in NSW. A weekend hiking here will confirm if your preparations to trek Kokoda are sufficient by how sore your muscles are on Monday morning. Sydney and NSW what an amazing place we have to walk and explore right on the doorstep of the cities metropolis. This is a world-class tourist area that backs on to the groovy little town of Katoomba. 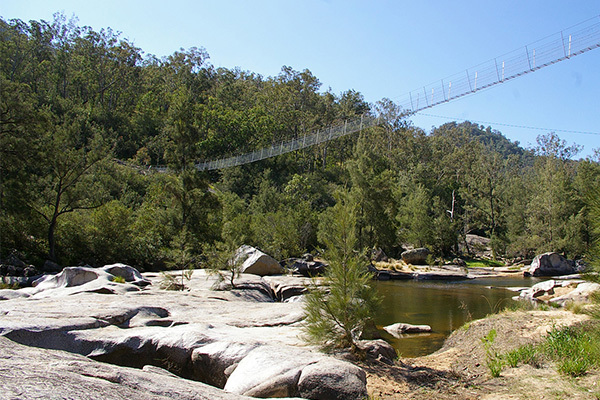 This place is a bustling hive of backpackers, families, hippies and bushwalkers to name a few categories of people who visit or live in the area. From the quirky cafes and restaurants to the antique emporiums and outdoor adventure stores, Katoomba offers the full spectrum of shopping. The hotels and bars bustle during the night as the jazz and blues music fill the chilled air with a relaxing vibe. Katoomba is not all about the shopping prescient and the town has grown on the back of an early coal and shale mining history. One of the old mine adits sits below the sandstone cliffs of Scenic World and its environmental scares can still be seen on the forest floor where undergrowth no longer exists due to the topsoil erosion. Very early on the tourism market began literally on the back of the coalmines and infrastructure as people explored the Megalong valley, the Jamison valley and Jenolan caves (via the 6 foot track). People would get on the old dolly cars of the coalmines and plunge face first down the worlds steepest railway. This railway is steep, believe me I used to work in many old coal mines with steep railways and thought “arr it will only be like the ones I used to go to work on every day”, how very wrong was I…….. The look on my wife’s as the rail line dropped away is burned into my memory and I will be giggling about this for years to come. The preferred route of entry and exit for those less daring is up and down the giant staircase, again its giant not like some of the other big things we have in Australia like the Big Banana, Pineapple and sheep the giant stair case lives up to its name as the big banana is not that big in my opinion. The 45 minute walk down the stair case brings you to Dardenells Pass, turning left along Dardenells you make your way along the angulating forests leaving the crowds of people behind you and about 30 minutes later you arrive at a rest stop adorned with picnic tables and shelters. This rest stop is a spectacular place to sit back and rest while you boil a cup of tea and nibble on a sesame bar. Having rested for a while it is only a short walk up to Leura cascades and falls to top up your water (treat all water you pick up in the bush) catch a few happy snaps at this peaceful gem. Turning around back down the same path to the picnic table area and you make your way past some impressively huge boulders and along Federal pass on the lower side of the valley and over the occasional fallen tree. About 40 minutes later you will bump head long back into Dardenells pass at that time you can turn right and make your way back along the cliffs to the giant stair case or you can continue on for an hour or more to Scenic World and travel up the railway (make sure you are there well before 4pm so as not to miss the last train). Walking back up the giant staircase is my preferred route and the best training option for Kokoda will take you up to an hour to reach the top as by now the path is full of other visiting tourist and in places there is only room for one. On the way up you can’t help but look around and wonder how difficult it must have been for the stairs and infrastructure to be installed on this a steep and potentially deadly cliff face. If you are scared of heights then this walk is perhaps going to be a little challenging. When staying in Katoomba I stay at the 3 sisters motel only just around the corner to Echo Point and well within walking distance thus avoiding the $4.50 per hour parking fee. The 3 sisters motel is not high class but its clean affordable and a 15-minute walk form the main hub of Katoomba. Make sure you start the day from Echo point early around 8-9am and get your pictures before the main crowds arrive after their A’la cart breakfasts in the main culture prescient. Choose to enjoy a late lunch or afternoon tea in one of the many cafes that are surprisingly affordable. Scenic World is well worth the visit although this will serve little purpose to your training unless you walk back to the top for exercise. The boardwalks are great to walk upon but they are not very challenging for the venture you are about to undertake on the Kokoda trail. Check the weather forecast before you go not only for rain and temperatures but storms and fire warnings. Talk to the local police and information centers before hiking.